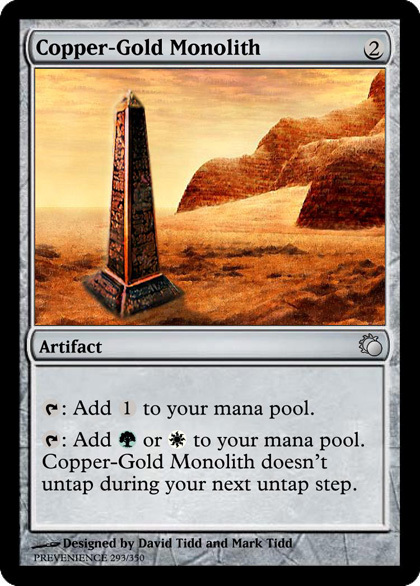 Copper-Gold Monolith Artifact : Add to your mana pool. 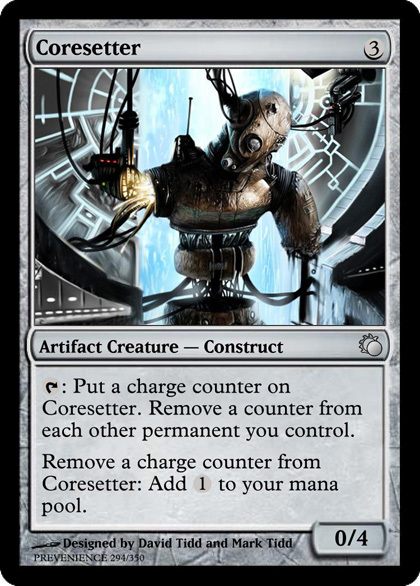 Coresetter Artifact Creature — Construct : Put a charge counter on Coresetter. 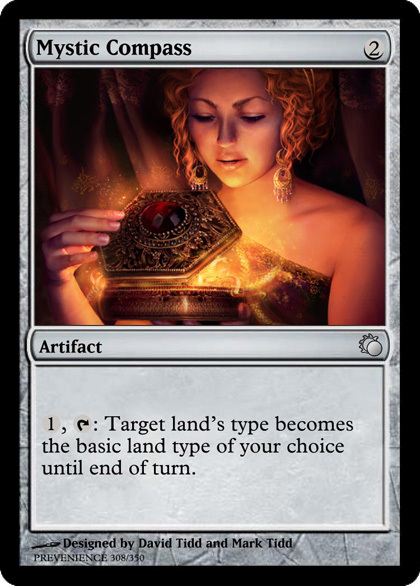 Remove a counter from each other permanent you control. 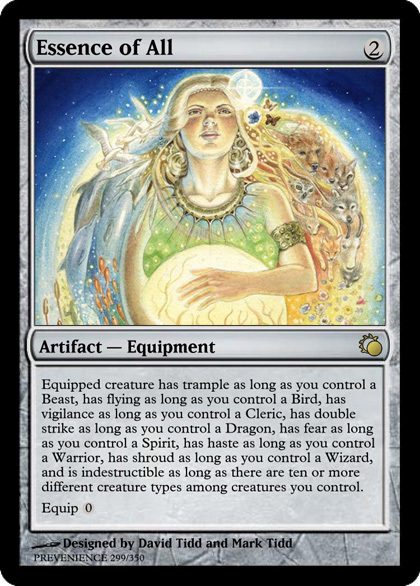 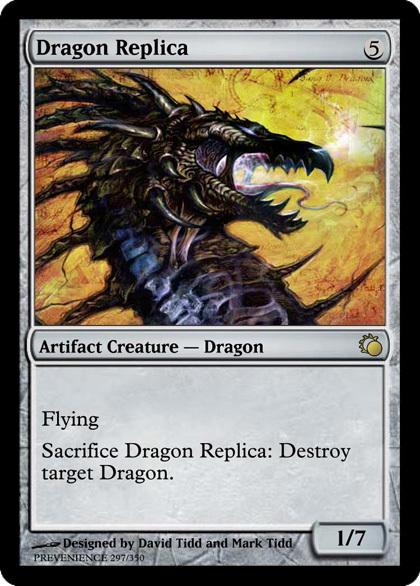 Essence of All Artifact — Equipment Equipped creature has trample as long as you control a Beast, has flying as long as you control a Bird, has vigilance as long as you control a Cleric, has double strike as long as you control a Dragon, has fear as long as you control a Spirit, has haste as long as you control a Warrior, has shroud as long as you control a Wizard, and is indestructible as long as there are ten or more different creature types among creatures you control. 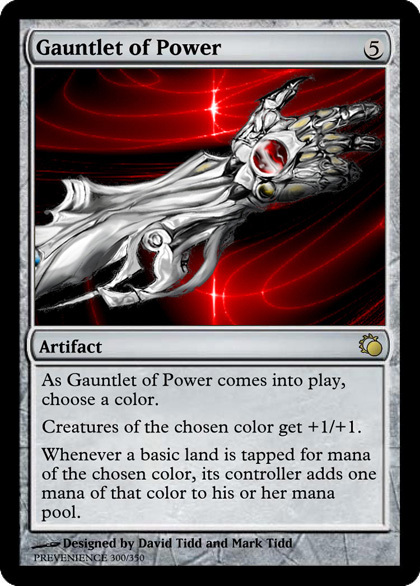 Gauntlet of Power Artifact As Gauntlet of Power comes into play, choose a color. 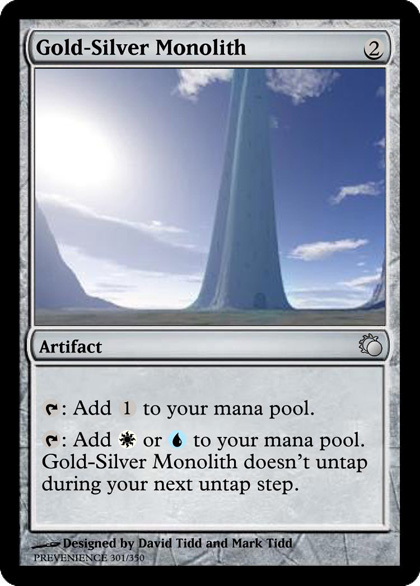 Gold-Silver Monolith Artifact : Add to your mana pool. 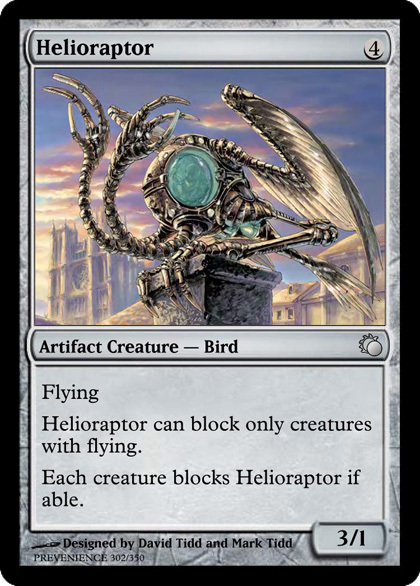 Helioraptor can block only creatures with flying. 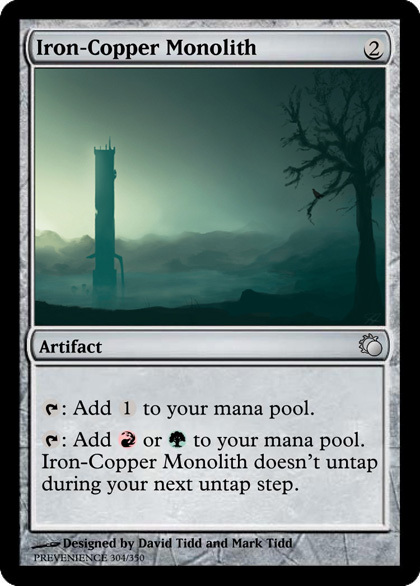 Iron-Copper Monolith Artifact : Add to your mana pool. 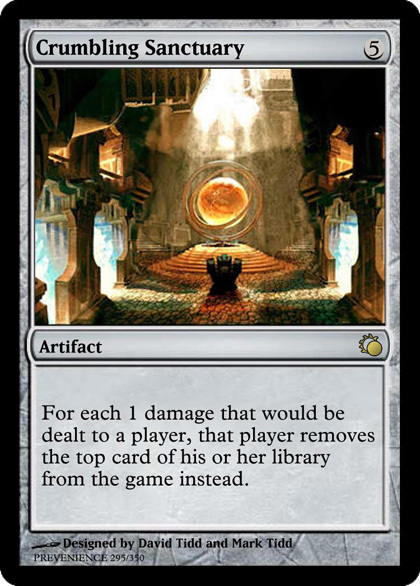 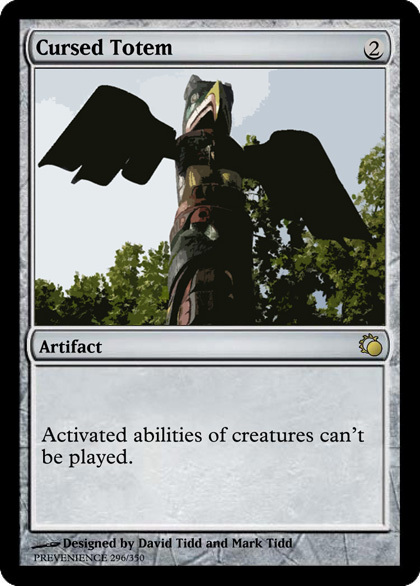 Karviddam’s Secret Artifact , : Put X 1/1 black Minion creature tokens into play tapped. 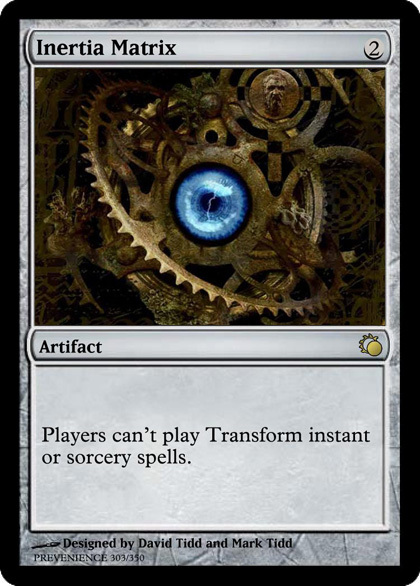 Play this ability only if you played a spell this turn. 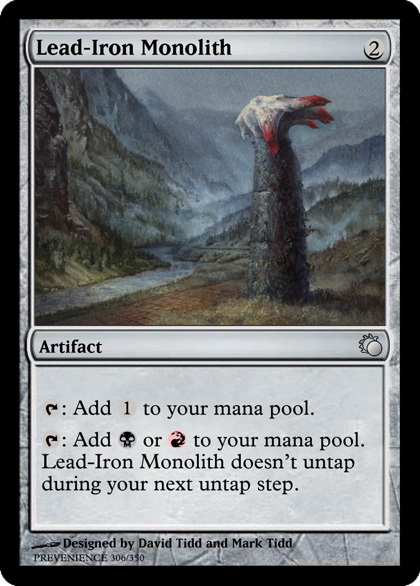 Lead-Iron Monolith Artifact : Add to your mana pool. 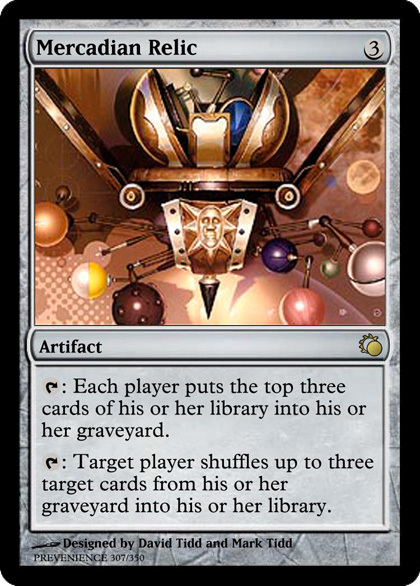 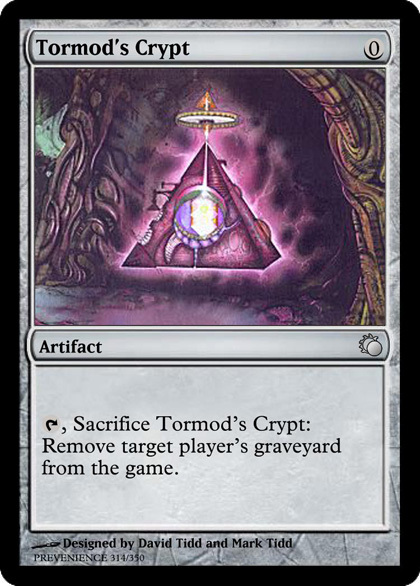 Mercadian Relic Artifact : Each player puts the top three cards of his or her library into his or her graveyard. 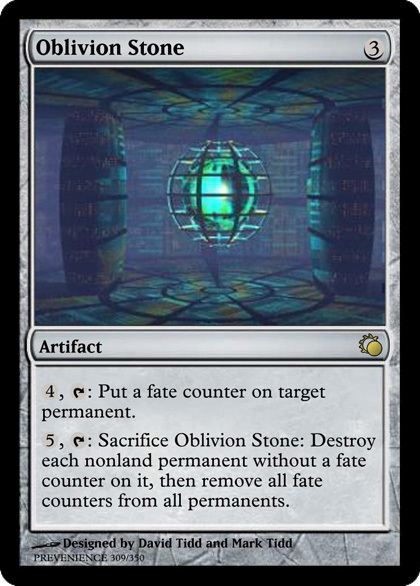 Oblivion Stone Artifact , : Put a fate counter on target permanent. 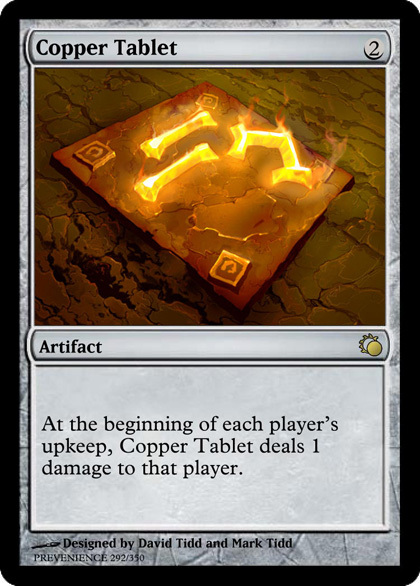 Primal Energy Artifact Creature — Elemental : Untap Primal Energy. 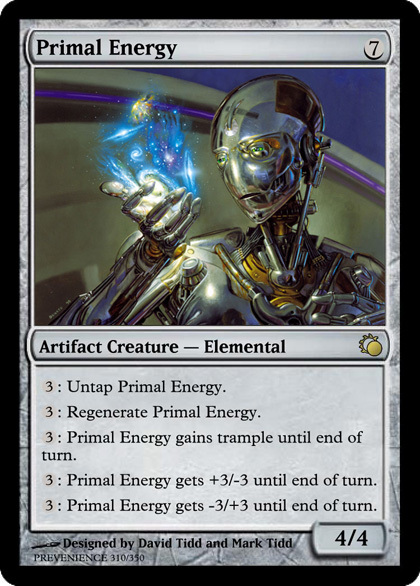 : Primal Energy gains trample until end of turn. 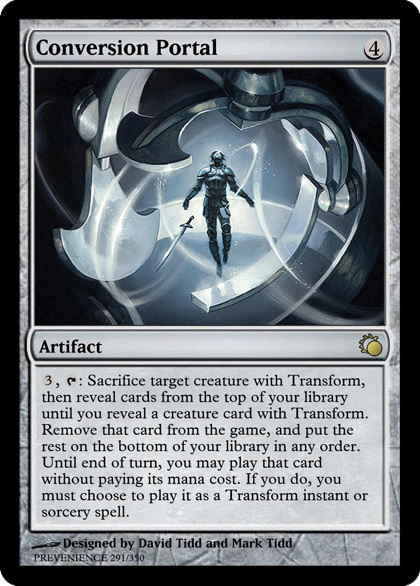 : Primal Energy gets +3/-3 until end of turn. 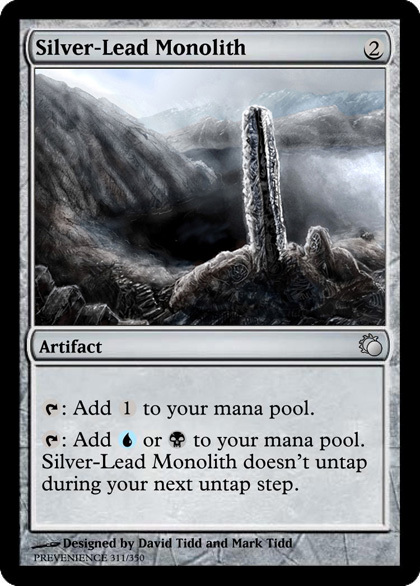 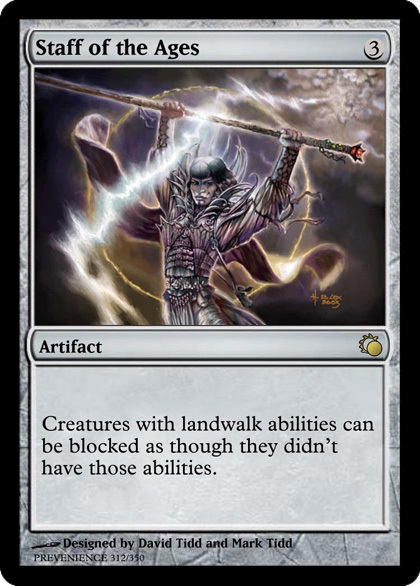 Silver-Lead Monolith Artifact : Add to your mana pool.